A meeting with a group of young Chinese businessmen formed part of today’s agenda as Prime Minister of Trinidad and Tobago, Dr the Hon. 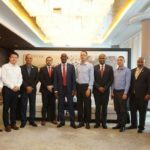 Keith Rowley, continued his official visit to the People’s Republic of China today in Shanghai (Thursday 17th May, 2018). The businessmen represented a wide array of business ventures including investment financing, real estate development, artificial intelligence and manufacturing robotics, ICT and tours and travel. Prime Minister Rowley thanked the businessmen for their interest in investing directly in Trinidad and Tobago and encouraged them to explore the opportunities available. A visit to the Yangshan Deepwater Port in Shanghai kicked off the day’s activities for Prime Minister Rowley and the delegation. The Yangshan Deepwater Port is operated by the Shanghai International Port Group Co. Ltd. and is located in Hangzhou Bay south of Shanghai. 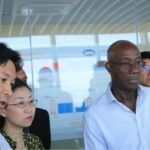 It is the largest automated port in the world and Prime Minister Rowley was given a guided tour of the facility by Yan Jun, President of Shanghai International Port (Group) Co. Ltd. The Prime Minister also met with Shanghai Construction Engineering Corporation at the company’s headquarters and was later hosted to a banquet by the Vice Mayor of Shanghai, Mr Jiang Ping. The Prime Minister was accompanied by the Trinidad and Tobago delegation including, Minister of Foreign and CARICOM Affairs Sen. the Hon. Dennis Moses and Minister in the Office of the Prime Minister and Minister in the Ministry of the Attorney General, the Hon. Stuart Young. 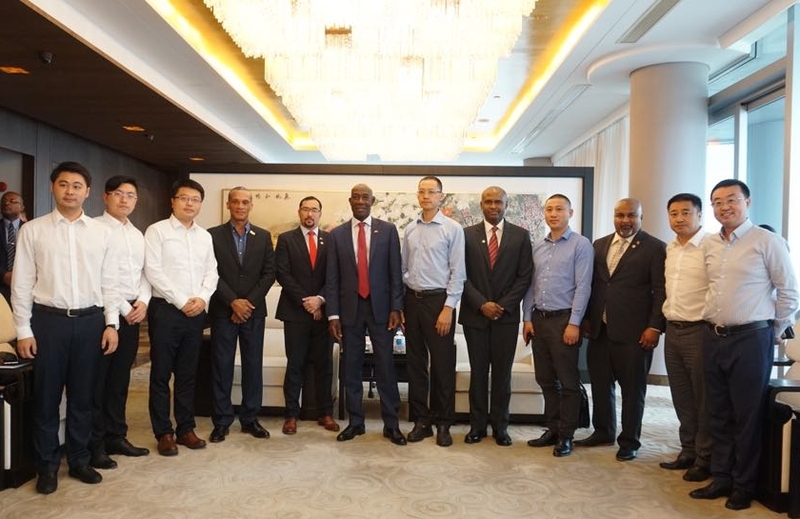 Prime Minister Rowley and members of the Trinidad and Tobago delegation with Chinese businessmen who are seeking to invest in Trinidad and Tobago. 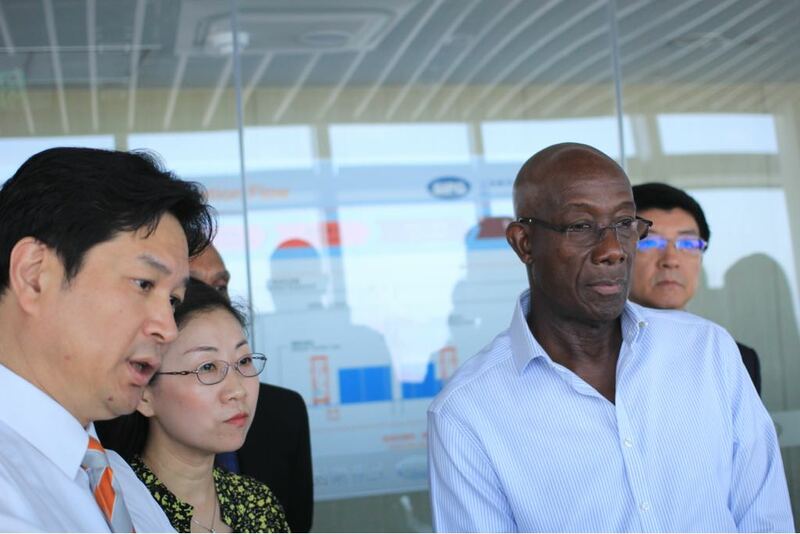 Yan Jun, President of Shanghai International Port (Group) Co. Ltd, gives Prime Minister Rowley a tour of the Yangshan Deepwater Port in Shanghai.